Joel Selvin’s new book digs deep into the seventh circle of rock music’s hell. It took me a moment to warm up to Joel Selvin’s Altamont. For starters, the Maysles brothers made a terrific, horrific documentary about the tragic events already. An audience member got knifed by a Hells Angel during a Rolling Stones concert; what else did I need to know? As it turns out, I needed to know a lot. Selvin’s book is broken into three parts: before, during, and after. The first part approaches the decision to hold the concert with excruciating slowness. Though it was a fun look behind the scenes of the Stones’ touring process, nearly 100 pages go by before the concert moves from ideation to any actualization. But the blame game is best played in hindsight with the aid of seriously investigative reporting, and I was hooked by page 50. Selvin finds faults large and small with basically every person who laid a hand on the concert, as well as a number of people who wanted nothing to do with the show and should’ve laid their more experienced hands on it. He portrays the Stones as grossly negligent, particular Mick Jagger, who was at the helm of the band’s business choices at this time. The band was badly in need of money and pushed their US ticket prices through the roof. In response to media questions pressuring for lower prices, Jagger first pled ignorance of the high costs and then promised to deliver a massive unspecified freebie. “Of course they were doing it for the money, but they couldn’t be seen as doing it for the money” (50). The freebie would ideally take the shape of the many free shows put on by the Grateful Dead down in the Haight. Their relaxed hippie cooperative was game to lend a hand, but they were not at all accustomed to taking the reins of a substantial event meant to have the same high-end production as the Stones’ regular touring gigs. Personalities quickly emerge in direct proportion to how fast the organization of the show crumbles. “Everyone had an opinion and none of them were aligned -- the counterculture eating its own once again” (108). Beset by unsavory characters looking to cash in on the Stones’ enterprise, the organization becomes a hydra with nine heads and no actual management or authority. What at first seemed like weak pacing of the book turns out to be one of its best assets as the slow crawl of Selvin’s pages toward the concert date is still much too fast to give any false promise of the concert’s possible successes. Long before part two, when the sun finally rises on 6 December 1969, readers are clear that this event is a descent into hell. There are three kinds of distinctions made during the exposition and rising action that are highly valuable to a more nuanced understanding of what took place. First, Altamont is always compared unfavorably to Woodstock. Where Woodstock is generally considered the epitome of the Summer of Love, Altamont symbolizes the end of that era. Selvin unpacks this major assumption both by undermining the alleged quality of Woodstock’s event production and by generously construing the Altamont motives of most everyone other than the Stones as having been modeled on Woodstock. For example, Woodstock was only "free" because thousands of people tramped the security gate, thereby preventing orderly collection of tickets, and the site of the concert was also haphazardly moved too close to the date of the show. By the time Selvin is finished, the Woodstock people appear to have simply gotten lucky where many the Altamont people mostly tried their best. Selvin, also the author of Summer of Love, is amply qualified to sift through his piles of research and parse motives in both cases. Or we can find fault in our stars: “Astrologists wondered why the producers had not charted the stars for the occasion; the Woodstock producers consulted astrologers before selecting the dates. On Saturday, 6 December, the moon was in Scorpio -- the forecast was heavy days, evil tidings, acts of violence. From the beginning, there was blood on the ground” (134). Another great distinction lies in Selvin’s analysis of the role of the Hells Angels, a motorcycle club that often gets a bad reputation for good reason. But the bikers are not to be all lumped into this category; we should distinguish between Terry the Tramp, so stricken with grief over the event that he left the Angels and committed suicide a few months later, and Animal, who wore a pelt on his head and was happy to see confrontations where there were none. Selvin wisely demarcates the difference between those bikers assimilating seamlessly into the Haight scene and those bikers further out. The Oakland bikers were thoroughly organized and managed by legendary boss Sonny Barger, as opposed to more unruly crews like San Jose. This crew had indeed provided security assistance at Dead shows before and they were a formidable force that audiences would not tempt to violence. What the Stones’ organization knew of the Hells Angels also lends credence to the idea of using them for security, as the chapters in the United Kingdom were exceedingly tame compared to their American counterparts. Although it may seem stupid and obvious to us now, at the time, there was historical precedent for using bikers in this way; they simply picked the wrong crew to insert into an already out of control happening. “The hippies never expected this kind of violence from the Angels and had no idea what to do about it. The Angels, on the other hand, were quite aware that they were badly outnumbered and knew they could only hope to rule through intimidation” (184). Selvin’s third valuable distinction pertains to the nature of acid trips. LSD was circulating widely at both Woodstock and Altamont, but in the time between the two events, manufacture and testing of pure acid had taken a nose dive due to government crackdown targeted at some of the most responsible proliferators of higher quality versions of the drug. Dosing nevertheless remained common and the LSD circulating at Altamont was substantially different in structure, often compounded by speed or poisons that would make for a decidedly bad collective trip. Usually the best acid on the West Coast arrived courtesy of the Dead, but they were too busy expediting the sound system to manufacture their better drugs for the weekend. Thank goodness the Red Cross showed up uninvited to set up a few medical tents backstage. Part two of the book recounts the big day, one gory hour at a time. At first, I settled in to wait for the big moment with the stabbing about which everyone already knows. Instead, I was consumed by Selvin’s excellent reporting on an overwhelming number of violent incidents orbiting the show. There was a presumably drug-addled guy that purposefully dove into the aqueduct and was immediately ground up into tiny bits. The equally addled Angels beat up a number of drugged-out fans that had been annoying them at the margins of a stage that was built much too close to ground-level, and even turned their broken pool cues and sharpened bike spokes against some of the band members. A member of the Angels’ security team punched Marty Balin of the Jefferson Airplane in the face and another stabbed Stephen Stills in the leg a bunch of times during CSNY’s very short set. Hieronymus Bosch couldn’t have depicted a more freaky landscape than the one rendered here by Selvin. The final third of the book is no less surreal. Selvin traces three arcs to their conclusion: the impact on the bands that were there, the implications for journalism, and the legal pursuits to hold all relevant parties accountable. In some ways, the aftermath is more shocking than the events themselves. The Stones buried themselves in drugs, distanced the band from the Maysles’ film, and were never the same in the studio or on stage again. The Grateful Dead radically altered their sound, moving toward folk and roots as a defense against the violence of rock music and swearing off the type of stardom that only a publicity machine can achieve. The Jefferson Airplane and the Flying Burrito Brothers quickly disintegrated. Deep coverage of all facets of the event rocketed Rolling Stone to the forefront of music journalism. 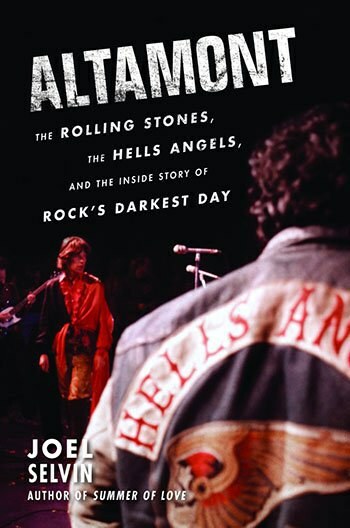 “The magazine’s first serious effort at investigative journalism almost instantly changed the public perception of Altamont” (253). Moreover, the police would not have solved Meredith Hunter’s murder without the magazine’s reporting. In a travesty of justice, Hunter’s killer was still found not guilty and the Stones have still never said one word to Hunter’s family all these decades later. There were upwards of $100k worth of bills that remained unpaid, but the karmic tab from Altamont has nevertheless haunted every person who was there that fateful day. Selvin’s reportage is quite thorough and his ample background characterizations are fair. He makes an interesting choice to forgo the more typical journalistic approach of attributed quotations, choosing not to “break the frame for confirmatory comments from eyewitnesses in favor of keeping the focus on the narrative drive” (327). Indeed, the story is well-told at a steadily more gripping pace. Once the day gets rolling, there's no shortage of violent and zany incidents worth discussing. Indeed, immediately after stepping off the helicopter, Mick Jagger himself got punched in the face by a drugged-up young man. “He hadn’t been at Altamont two minutes and somebody had already assaulted him. If that gave him pause, Jagger didn’t let on” (188). Some of Selvin’s best writing occurs when he relies upon a quick jab of understatement, such as the jarring introducer “the first death took place shortly before the music started” (161). At other times, he unleashes adjectives that succeed in poetry without pushing into overly editorialized terrain, as in his portrait of Denise Kauffman. Twenty-two years old and five months pregnant, she was hit on the back of the head with a full beer can that someone had dumbly flung high in the air. “She refused the IV, so the surgeon picked little pieces of skull out of her brain, giving her no more painkiller that he would someone getting her teeth cleaned. She stayed awake through the surgery, hearing little hammers in her head, like somebody doing road work in there, another unrecognized casualty as evening drew nearer” (198). His opinion on this ugly historical moment and its continuing reverberations is ultimately clear cut and he doesn't shy away from asking the big question. For a long time now, we have mistakenly focused on asking who is responsible for this tragedy. Selvin places blame everywhere that blame is due, but the odd feeling that a grotesque thing like this could only happen to the Stones, that it could only surface through the latent ugliness of the Stones’ audience, is not the essential query at the heart of the book. The real, more interesting question is: “Why did the Rolling Stones proceed with the concert?” (315) and the straightforward answer is greed. They had to do it to deliver a cool finalé for the Maysles; they sought to cash in on a concert film that could eclipse the Woodstock documentary. Pauline Kael famously compared Gimme Shelter to Riefenstahl’s Triumph of the Will, about the Nazi’s 1934 rally at Nuremburg. Selvin does a sound close reading of Gimme Shelter, exposing its many flaws in matters of both fact and viewpoint. It’s not hard to find fault with the film. David Maysles, late to the scene and not at all hip to it, told one cameraman shooting footage of a woman having a fairly common acid freakout, “Don’t shoot that. That’s ugly. We only want beautiful things,” and the cameraman replied, “How can you possibly say that? Everything here is so ugly” (168). Altamont unquestionably stands as the most truthful, most comprehensive, and most valuable account of the cultural and psychological implications of Altamont. Selvin rightly exposes this very old wound, slicing open the many scars of it in order to begin healing everything properly at last. Because in the end, “Altamont was not the end of anything. […] The events at Altamont were the result of the convergence of many fissures running through the counterculture, and as such, it was more of a symbol of unresolved conflicts that had been quietly warring in the underground: the reality of money, the lack of leadership and unity of purpose, the role of drugs, and the rejection of authority and the police” (309). Altamont was one free concert for which everybody is still paying.